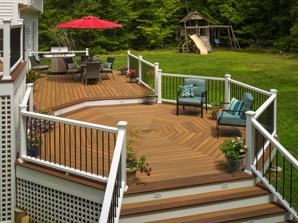 This is a guest post from Fred Sexton at Fiberon decking. He explains the Fiberon decking installation that was done for Mart Weiss the winner of their $20,000 deck giveaway contest. After winning Fiberon’s $20,000 deck giveaway contest, Marty Weiss knew that he had to turn to a team of contractors that could remodel his previous deck and give him a stunning new outdoor space. 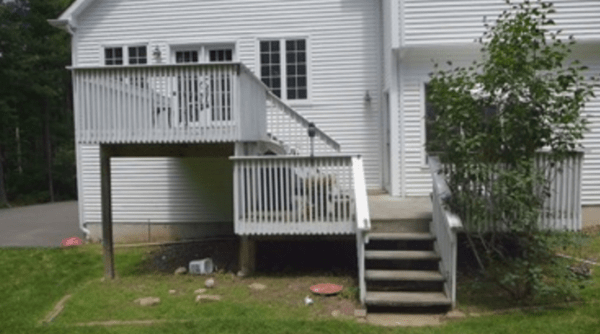 Fortunately for Marty he had the help of one of the finest contractors in Connecticut – the team of ARD Builders. 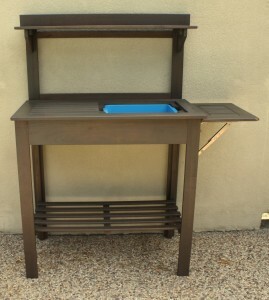 Founded by the duo of Andy and Rick, ARD Builders pride themselves on the ability to bring any outdoor design to life. Andy’s creative expertise lead him to choose a design that featured a centralized seating area as well as a raised grilling section. 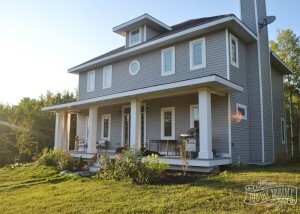 This design utilized an octangular area made of composite decking that replaced the previous deck. The goal of this project was to renovate this rotting outdoor area and construct a beautiful new deck featuring proper lighting and railing. With these goals in mind, the ARD team set out to build a brand new deck that would enhance Marty’s backyard. Of course, this project was not without its challenges. In order to construct the necessary supports for the new deck, holes had to be drilled through a rocky foundation. Hours of hard work and preparation were spent readying the supports. Ricks determination eventually paid off and the supports for the new deck were ready. It was time to begin the installation. The next step was installing and framing the new deck. Without a meticulous eye and proper measurements a deck like this could end up off center and become a disastrous renovation. Proper cutting and measuring were absolutely necessary for the construction. After completing these vital steps the building began. Fortunately, the installation went off without a hitch, no doubt due to Rick’s expert approach. With a finalized deck ready to go, the only thing left to do was install the new deck lighting to bring Marty’s brand new dream deck to life. 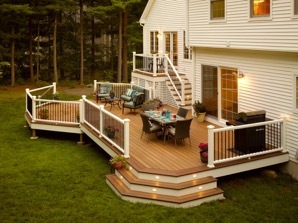 This stunning outdoor lighting gives any deck a breathtaking appeal – day or night. Thanks to the builders at ARD the end result is an absolutely unbelievable decking area that Marty Weiss can enjoy for years to come. And if you need any information on improving your outdoor decking area be sure to visit Fiberon’s website for more information. 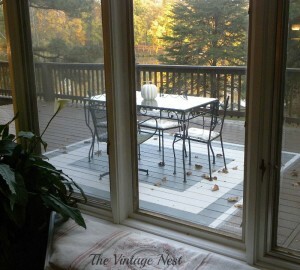 Click here to see more RenoCompare decking pictures and ideas.